Japan has a reputation as an expensive country, which can be off-putting for those who want to study abroad and experience life as a student. 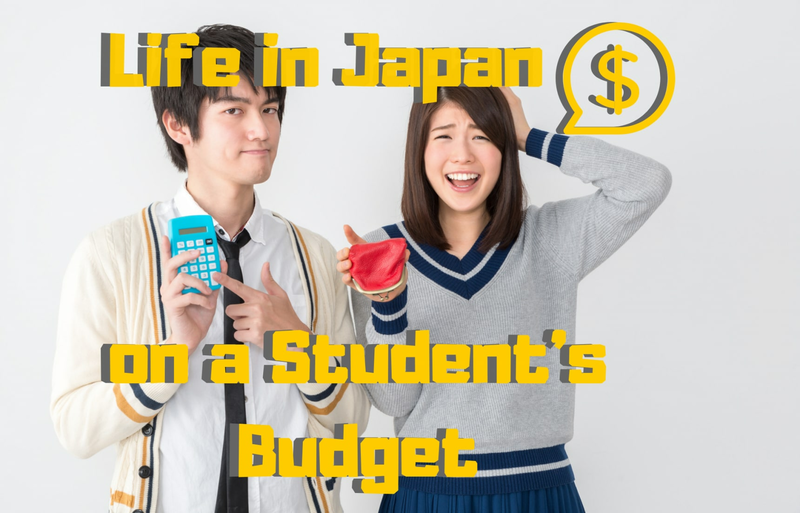 But, with handy money-saving tips and insider knowledge, your student life in Japan doesn’t have to leave you out of pocket or out of the loop. Aside from your tuition fees, accommodation will be one of your biggest expenses, especially if you want to live in Tokyo or other major cities. A big money-saver here is to live in a dormitory (if your school has them) or a share house. With both choices, you'll likely give up a little bit of privacy (since common spaces and utility areas are shared), but you'll save a bunch of money. Plus, as a student you'll probably want to meet as many people as you can, particularly when you first arrive, and both options are very convenient for meeting new people and making friends. Depending on your budget, you can also look for share houses that are a little farther away from central city areas. But keep in mind that you will probably need to balance this out with how much it will cost to commute to your school and places of interest, both in terms of money and time. Speaking of commuting, make sure to take advantage of commuter passes if you intend to use the train network regularly. These give you unlimited travel between two train stations on a specific route for a set duration of time, and you can buy these from the ticket machines stations, as well as manned ticket counters. You may also want to consider buying a bike rather than use public transport, depending on where you live in relation to your school and other areas you spend significant time in. A standard bike with a basket (called mamachari, due to their popularity among mothers) is usually very reasonably priced, and is perfectly suitable for everyday use. If you’re exploring other parts of the country, make sure to check if the place you’re going to or the railway company you’re using offers any sort of tourist or city pass. These passes often include unlimited travel on some or all of the city’s public transport and may also offer free or discounted admission to popular tourist spots. The Seishun 18 Pass is a good deal, if you plan to travel during the holidays in which the pass is valid. This particular ticket is only valid three times a year between dates specified by Japan Rail. The ticket can be used for any five days within those dates and is valid on all JR lines in Japan. You can also share the ticket with up to four other people, but everyone using the ticket must travel together and each person takes up one of the five days. Still, for the price of ¥11,850 (about US$106) per ticket, the price is right. Instead of taking the shinkansen or a domestic flight on your next trip, look at highway bus options. They will take longer to get to your destination, but you will save a lot more money. If time is really important to you, see if there’s an overnight bus option to where you’re going, that way you can sleep while you travel and wake up ready to explore! The best way to save money on food is to make your own meals—take advantage of when supermarkets discount products (usually near closing time). Fruit and vegetables in Japan are notoriously expensive, but many supermarkets will have a trolley of discounted produce that are usually close to or just past their expiry dates. Just be sure to use them in a timely manner! Also keep an eye out for local vegetable and fruit shops or co-ops that may offer less expensive produce. See also if there is a Gyomu Super (a nationwide bulk goods supermarket chain) near you; Costco has become quite popular, and is great for stocking up on non-perishables. Prefer to eat out? Head to cheap chain restaurants like Yoshinoya, Matsuya, Sukiya and Coco’s. If you’re with other people, go to chain restaurants like Torikizoku, Kin no Kura and Watami, which also have affordable all-you-can-eat and drink deals too. Also look out for smaller places that serve ramen, udon, soba and katsudon—you can easily get a filling bowl of freshly made food for under ¥1,000. For general shopping, go to ¥100 stores like Daiso, Can Do and 3 Coins, buy clothes from secondhand shops or brands like Uniqlo and Gu. Check websites and social media groups for "Sayonara Sales," where people leaving usually offload their stuff at a significant discount (or in the case of Mottainai Japan, give them away). For second hand household items, check out recycle shops and second hand chains like Off House. Student life is as much as about studying as it is about having fun and what would your time in Japan be without a few karaoke sessions? Generally, it’s cheaper to go during the day and on weekdays than evenings and weekends. Some places offer special student or membership discounts. "Free time" is also a great way to get some bang for your buck, since it allows you to pay a flat rate for as much singing as you're game for. Looking to enjoy a blockbuster? Go to movie theaters on special discount days—the first day of the month is a common one—or watch a late showings for cheaper tickets. If museums are more your thing, check individual museum websites to find out about student discounts, and if they have days with free admission. And don’t forget to go to the many free festivals that take place all year round across Japan! Studying abroad in Japan is guaranteed to be memorable, and thanks to these tips, affordable! If you’re looking for study options, contact Go! Go! Nihon for more information and assistance. Go! Go! Nihon partners with schools, vocational colleges and universities, accommodation providers and other service providers to offer a free service to help people who want to live and study in Japan. The service is currently available in seven languages. Go! Go! Nihon’s blog also contains a range of articles relating to living in Japan with a particular focus on student life. Visit Go! Go! Nihon for more information. Go! Go! Nihon has been helping learners of Japanese live and study in Japan since 2009. As well as helping people find the best language schools for their needs, Go! Go! Nihon also offers insight and tips on life in Japan, Japanese culture, travel in Japan and more!